The Apple devices coming with retina display are iPad Air and iPad mini 2. Apple is maximizing its profits by launching innovated products and clever marketing. 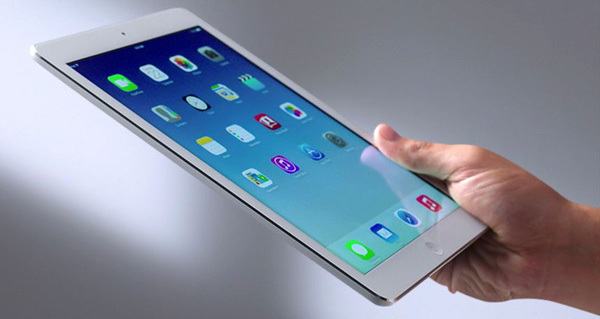 Apple iPad Air is a full size tablet and is very thin as compared to the tablets of previous generation. The iPad air weighs about one pound and costs $499. It will be out for sale from 1st November. 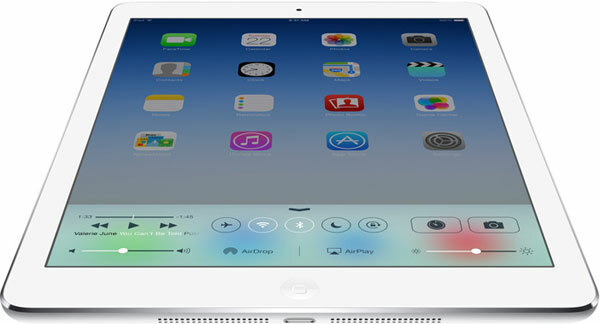 The introduction of iPad Air proves that you should not be satisfied just with the bigger screen. The iPad mini 2 with retina display is a big competitor of the iPad air and new Mac Pro, desktop is also in the competitor’s list. The iPad Air has got upgrades in processor as well as camera, the thickness and weight has been decreased which is welcoming. The device might weight about 1 pound or 453 g and thickness would be 7.5 mm much better from its previous generation, you can feel it when you hold in it hand. This 5th generation iPad has got 64 bit A7 processor. Since the device is big it will require bigger power and the chipset makes it work screamingly fast. There was a huge gap between tabs and laptops before in terms of features but it has almost disappeared. The improvements in Apple are worth appreciating and thus will be the key for its success. The processor of the tab is 8 times faster than the previous one and 72 times quicker graphics as compared to 1st generation iPad. The A7 processor is just the same as iPhone 5S. The M7 motion co-processor used in iPhone 5S is also supported in iPad Air to make the device smarter than the rest. Along with the 64 bit architecture it comes with more than 1 billion of transistors. The camera of the device has improved a lot than the predecessors; the Face-time camera at the front and 5 MP at rear with 1080 p make it quite strong. The cameras are expected to work pretty well even in low lights. You can definitely click quality pictures with the camera and even videos. With dual mics you can comfortably make a video chat with better clarity and great sound quality. The entry of new iOS 7 has come up with loads of latest features making the iPad experience revolutionary; it’s a welcoming step having fresh and stylish design. The Retina display already present since last year is great and this is what we expect from the iPad. The colourful and vibrant display means the quality of images would be sharp and crisp, web surfing is easy and clear without haziness and watching the movies is terrible fun. No Touch ID fingerprint is offered in the device but it’s not a big deal, we’ll happily manage with reduced size and weight. The level of power the processor sports to run the big apps is simply awesome and you would face no slowdown or lags while exploring the apps form App Store and iWorks. For iPhones, 64 bit chip is not required but talking about iPads, this energy provides real good experience. The iPad is not just a name; there are plenty of improvisations done to make it better and different from the last generations to take it on the top level. The biggest disadvantage of iPad 4 was its bulky size and heavy weight but is vanished in iPad 5, iPad Air is much easier to hold. After iPad 2, we can see a new and modern design in the iPad 5. The display of this device is of 9.7 inches like the previous predecessors but with the improved shape and curves following the design of iPad mini. With just 1 pound of weight, this is the lightest tab available in full size. This tab is almost 4 lbs lesser as compared to last generation iPads. 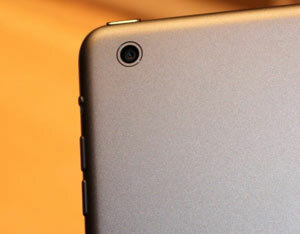 The bezel offered is 43 percent thinner on both edges and sides and same is found in iPad mini’s design. 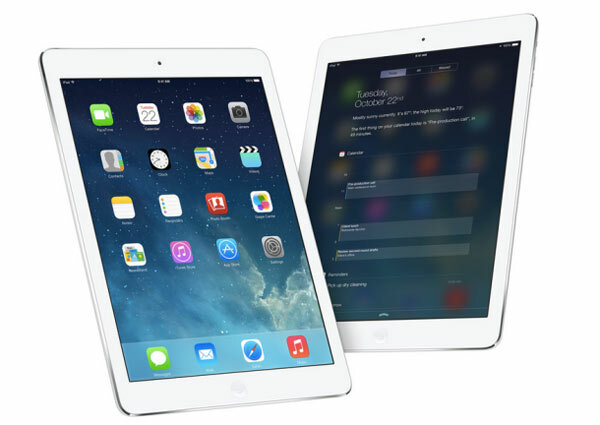 The dimensions of iPad Air are 169.5 x 240 mm and other look is iPad mini as mentioned. The design is newer as compared to 4th generation and is more sleek and modern. iPad Air has aluminium framework which makes it tough from outside and appease users with classy looks. The MIMO technology is tossed in Apple to support Wi-Fi and about 10 hours of battery backup. The iPad Air is available in various storage models like 16GB, 32GB, 64GB and 128 GB. The higher need to storage shows the complex work of users which requires more storage. The wireless has been provided inside the device along with MIMO technology which provides reliable and even faster Wi-Fi connection. It uses 802.11n which is a bit older than new 802.11 ac standard. The Wi-Fi + Cellular are a big improvement in iPad 5 as compared to iPad 4 and it works on all the 4G networks only in UK. This new generation of iPad will be available in silver, gray, black and white colours for some reason there is no gold. This fifth generation iPad will replace its previous version with starting price of $499. The device sports Wi-Fi and cellular ranges from $299 of starting price. In between the price of iPad mini 2 will be $399. This fifth generation tab will be out from 1st of November. Apple has improved the iPad a lot as compared to first generation; it’s hard to explain the improvisations. The iPad Air has got stunning processor fixed in perfect body which cannot to be compared with any other brands other than Apple for now. The reduced size and weight and its thickness very well ensures that Apple has launched the finest tablet in the market and its launch would do really well. There is no part where Apple has made any compromises; be it specs be it build quality. As the device is not launched yet, the detailed specs are not available yet. Next: How To Save WhatsApp Profile Pic To Your Android Phone?